Cameras may seem like a thing of the past with smartphones cameras always improving. However, there are still plenty of people including professionals and individuals everywhere using cameras. Ritz Camera has been around since cameras were in the hands of people everywhere. It is still the go-to source for those who seek high-end, quality cameras, lenses, and accessories. With all that Ritz offers, you can find great photography equipment at a great price. The company began its photography business nearly a century ago in 1918. Benjamin Ritz set up his first portrait studio at the Atlantic City Ritz Hotel. From there, Ritz and his camera skills exploded into success. He became synonymous with photography and portraits for all special events. Today, Ritz Camera still aims to be at the heart of all your special moments. As photography changed over the course of the last century, so too did the focus of Ritz Camera. The team moved beyond just taking photos for customers. They began selling cameras for professional photographers and amateurs. Nearly 20 years after the company’s founding, Ritz began processing customers’ film. This practice sustained the company alongside its camera sales for many decades. Still today, Ritz Camera is a leader in the photography field. They offer customers products that help them take the best photos possible. Both online and in retail locations, Ritz Camera sells digital cameras and audio gear. You can also find custom photo products and even prints. Ritz also tries to ensure customers receive the lowest prices. The prices you see at Ritz Camera are meant to compete with other electronics retailers. Ritz has the advantage of knowledgeable and experienced staff members ready to offer advice. Cameras and photography equipment can be expensive. If you don’t want to break the back, Ritz Camera is the place to shop. When you shop online, you can usually find an awesome deal to help you save. The Ritz Camera homepage has all the biggest seasonal sales and free shipping offers. 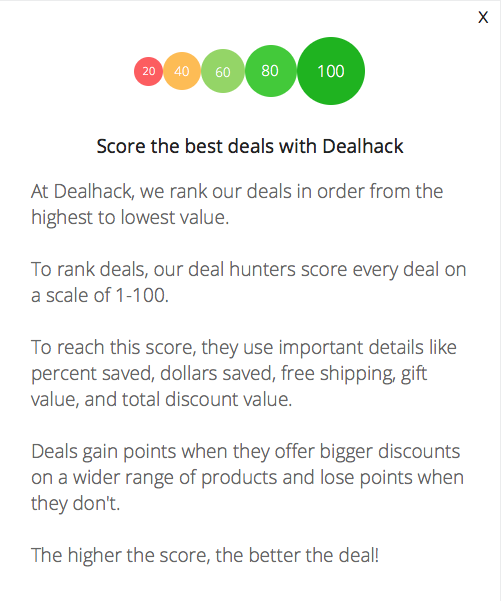 If you are looking for a specific item, always check this Dealhack page first. We have all the items that are marked down in price listed right here on this page. We also work hard to be sure to have a free shipping offer available at all times. You should also consider signing up for Ritz Camera emails. You will receive exclusive offers and coupons to save on future orders. Lastly, be sure to visit the best camera & lens deals section. You can find a link to the deals in blue at the top of the Ritz page or above in our shopping tips section. This section is where you can access the seasonal deals and discounts for getting started in the photography world. You will find several cameras, lenses, and accessories marked down in price. You can also find bundles where you can receive free items when you purchase. Ritz Camera operates just two social media channels: Facebook and Twitter. The Ritz Camera Facebook page is the most active of the two. Facebook advertises seasonal super sales and different individual products. Sometimes, the company shares photos of different themes for posts. Discover photos of maps for the summer travel season or a family for the holidays. Ritz Camera encourages fans to buy cameras for these occasions. You can also find Ritz Camera on Twitter. Do you have questions for the customer service? Send an email to [email protected]. You can also contact customer service by calling 1-855-622-7489. For an immediate response, you can try using the website’s live chat. If you find the team is currently offline, you can choose to leave a message so they can respond. Their customer service team can usually respond within one business day. Are you ready to purchase a new camera or accessory to take better pictures? Browse the latest offers right here on this page. Enjoy paying less when you use one of our great coupons. Make sure you visit the Ritz Camera best camera and lens deals page. Find huge discounts on cameras, lenses, accessories, and bundles. Make sure that you sign up for emails at the bottom of the homepage. You will get news, sales, and even photo tips sent to your email. You’ll also receive exclusive discounts! Everywhere you go on the Ritz Camera site, all of the current deals and coupons follow you. These are all visible at the webpage’s header, which never changes as you click through pages. Ritz Camera celebrates the Thanksgiving holiday with an annual super sale, offering drastically reduced prices on cameras and all other products. It’s the most beneficial time of the year to shop. Frequent Ritz shoppers highly suggest waiting for the company’s weekly ad in your inbox. Although these ads sometimes come out less often, when they are released they feature the company’s very best deals. What is Today’s Best Ritz Camera Promo Code? The best Ritz Camera promo code right now is MOVE. This code is for 'Free Shipping on your order'. Copy it and enter it on the Ritz Camera checkout page to use it. Ritz Camera has a reputation for shipping orders quickly. In fact, all in-stock orders ship within just one to two business days. Most orders are shipped via ground service. This gets your items to you within three to seven business days for no cost at all. Want to get your camera items faster? You have the option to pay for upgraded shipping, either two-business-day or next-business-day. Oversized and bulky items may come with extra shipping costs as well as delayed shipping speeds if necessary. These specified shipping rates and speeds only apply to U.S. customers. Ritz Camera currently cannot and does not ship anywhere beyond the 50 states. The first action you should take if you’d like to return any part of your Ritz Camera order is to contact customer service by phone, email, or live chat. In order to get your return processed, you need approval via an RMA number. You have just 30 days to get one of these approvals after you receive your order. Once your return is approved, you then have 14 days to ship your unwanted items back to the company headquarters. If you miss that two-week window, you run the risk of Ritz refusing your return altogether. All returned items need to be in their original packaging, still in brand-new mint condition, and with all included accessories and warranty cards. When you do receive your refund, you won’t be getting the entire amount of your purchase price back. Ritz charges a minimum 10 percent restocking fee, and never refunds any shipping or handling fees.